Alkem Laboratories Ltd has stated that with respect to the recent news reports in the media in connection with 'Notification to the CHMP/EMA Secretariat of a Referral under Article 31 of Directive 2001/83/EC” (the “Directive”) made by The Federal Institute of Drug and Medical Devices (BfArM) Germany. Alkem Laboratories cracked 4.4% at Rs. 1,276. 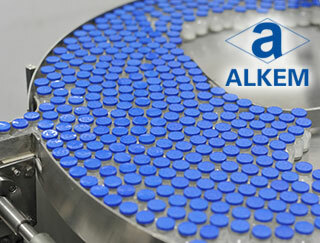 Alkem Laboratories Ltd has stated that with respect to the recent news reports in the media in connection with 'Notification to the CHMP/EMA Secretariat of a Referral under Article 31 of Directive 2001/83/EC” (the “Directive”) made by The Federal Institute of Drug and Medical Devices (BfArM) Germany. The company has clarified that Federal Institute of Drug and Medical Devices (BfArM), Germany, and the Health Care Inspectorate (IGZ), Ministry of Health of the Netherlands performed a joint inspection in March 2015 at Alkem’s Bioequivalence facility at Taloja. The referral under Article 31 of the Directive refers to bioequivalence studies conducted for the period between March 2013 and March 2015 and in particular to bioequivalence trials of two products, of which one is commercialized and another is yet to be commercialized. We will be submitting a suitable clarifications to the European Medicines Agency (“EMA”) within the stipulated timelines to enable the Committee for Medicinal Products for Human Use (“CHMP”) take a balanced risk-benefit view with respect to these two products. Currently sales from Europe contributes less than 1% to Alkem’s total consolidated sales for 9MFY16. The scrip opened at Rs. 1285 and touched a high and low of Rs. 1285 and Rs. 1236 respectively. A total of 370833(NSE+BSE) shares were traded on the counter. The current market cap of the company is Rs. 15967.91 crore. The BSE group 'B' stock of face value Rs. 2 touched a 52 week high of Rs. 1589 on 05-Jan-2016 and a 52 week low of Rs. 1232 on 26-Feb-2016. Last one week high and low of the scrip stood at Rs. 1356.75 and Rs. 1319 respectively. The promoters holding in the company stood at 66.78 % while Institutions and Non-Institutions held 6.81 % and 26.41 % respectively. The stock traded below its 50 DMA.